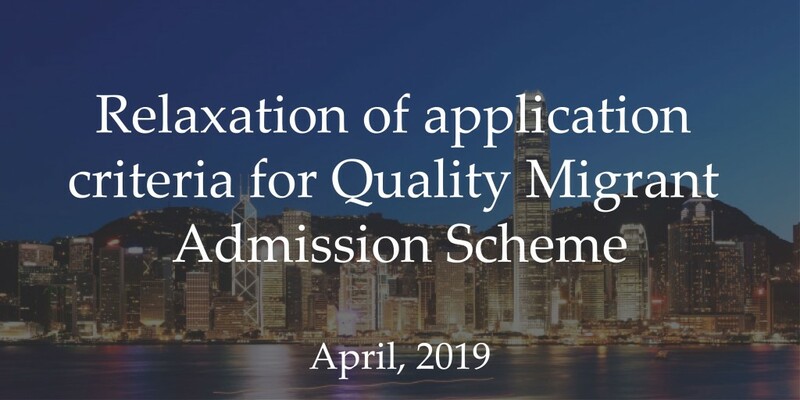 The Quality Migrant Admission Scheme (QMAS) launched by the Hong Kong SAR Government in June 2006 aims to attract highly skilled or talented persons to settle in Hong Kong. It is a quota-based admission scheme with an annual quota of 1,000. The entry qualification is assessed through five rounds of selection. According to statistics released from the Immigration Department of Hong Kong, QMAS approved a total of 411 applications in 2017; in 2018, QMAS approved a total of 555 applications. Due to the strict approval process, thousands of applications for QMAS are submitted to the Immigration Department each year, but the number of applicants approved each year is less than one tenth, which is far below the annual quota of 1,000. Many interested applicants are therefore discouraged by QMAS, and the scheme may be ignored. However, based on recent experience, the Immigration Department has relaxed the criteria for reviewing applications, making it possible for more persons in the Mainland to apply for residency. QMAS is a quota-based entrant scheme officially launched by the Hong Kong Government on 28 June 2006. It seeks to attract highly skilled or talented persons to settle in Hong Kong in order to enhance Hong Kong’s economic competitiveness. Successful applicants are not required to have secured an offer of local employment before entry to Hong Kong for settlement. How to apply for QMAS? It normally takes between four and five months to process QMAS applications upon receipt of all required documents by the Immigration Department (including the announcement of the selection result and issue of “Approval-in-principle letter”). After living in Hong Kong for seven consecutive years, applicants will be able to apply for permanent residency in Hong Kong (subject to conditional restrictions and approval by the Immigration Department of Hong Kong). QMAS has two sets of selection criteria, with no investment or proof of funding. Applicants who meet all the application qualifications will be assessed under one of the two sets of selection criteria. Although QMAS is a point-scoring immigration scheme, there are many subjective and objective factors or variable factors involved in the application process. In addition, the preparation of the application documents is complicated. Those with experience can better highlight the advantages of the applicant and increase the success rate. It will therefore save time and worry for applicants to entrust a professional agency to assist in the application to raise the success rate of the application.